Trump junior was told by an interlocutor that he could get "very high level and sensitive information" that was "part of Russia and its government's support for Mr. Trump." 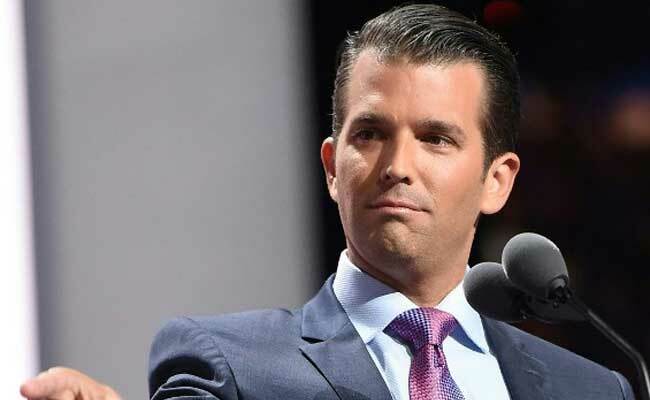 Washington, United States: US President Donald Trump's eldest son on Tuesday released emails showing he embraced Russia's efforts to support his father's presidential campaign, and admitting he would "love" to get dirt from Moscow on Hillary Clinton. Trump, 39, responded "if it's what you say I love it" and set up a meeting with the source, according to the emails. The email chain, released in its entirety by Donald Jr on his Twitter account shortly before The New York Times published it, effectively confirms that he believed Moscow was behind the compromising information about Clinton that he hoped to receive at a meeting last year with a Kremlin-connected Russian lawyer. The disclosure places the president's son at the center of a burgeoning scandal involving multiple US investigations into whether Trump associates colluded with Russia last year in its covert efforts to tip the 2016 elections to the Republican billionaire. Donald Jr had initially dismissed the meeting he arranged with the Russian lawyer, Natalia Veselnitskaya, as having to do with adoptions, but then offered shifting explanations as more details emerged. In the emails released Tuesday, Rob Goldstone, a publicist close to the Trumps, tells Donald Jr that he has learned of a Russian offer of compromising material on Clinton from a pop singer he represented, Emin Agalorov. "This is obviously very high level and sensitive information but is part of Russia and its government support for Mr. Trump - helped along by Aras and Emin," he added. "Thanks Rob I appreciate that. I am on the road at the moment but perhaps I just speak to Emin first. Seems we have some time and if it's what you say I love it especially later in the summer." US intelligence agencies have concluded that Russian President Vladimir Putin approved a mass effort to tilt the election in Trump's favor, including hacking and leaking embarrassing emails from Democrats. The New York Times reported that Paul Manafort and Jared Kushner, two of Trump's most trusted campaign officials, also attended the meeting with Veselnitskaya and Donald Jr last year. The Kremlin has said it "did not know who" Veselnitskaya was. "We can't be aware of all the meetings Russian lawyers have abroad," said spokesman Dmitry Peskov.